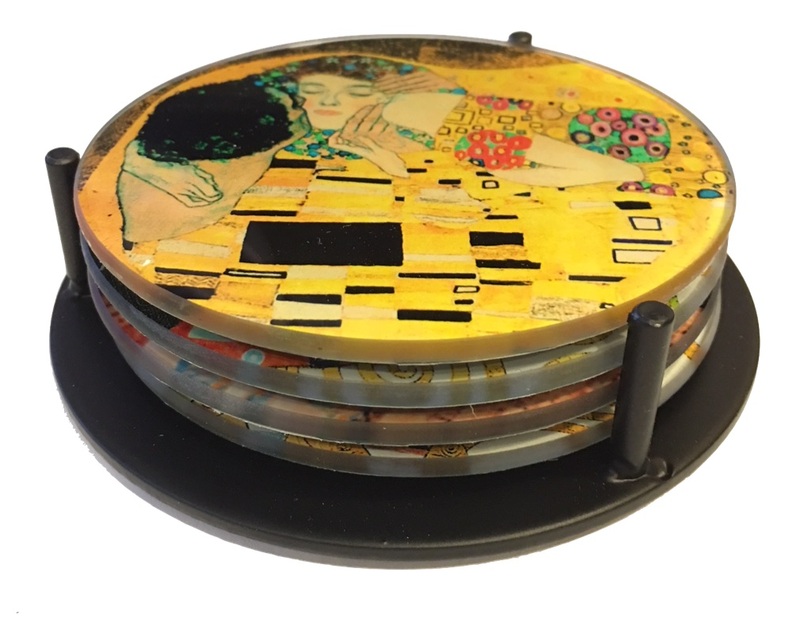 Decorate your coffee table with glass drink coasters by your favorite Art Nouveau masterpiece artist -- Gustav Klimt (1862-1918). 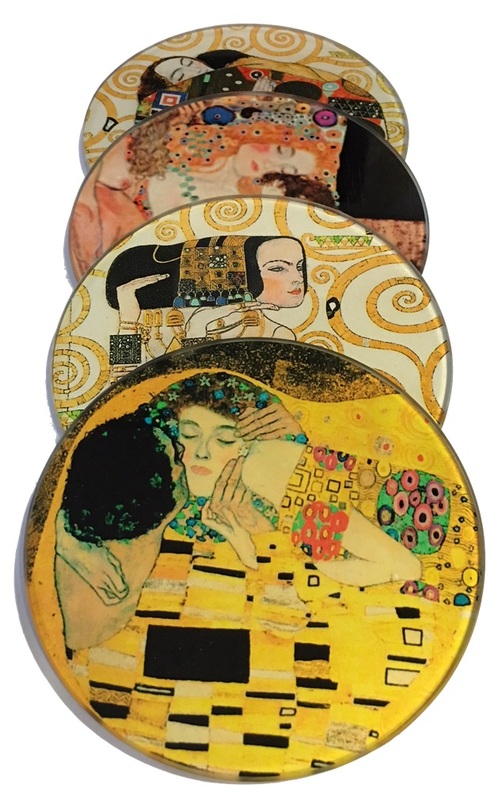 Each drink coaster shows a different detail from one of his famous paintings -- The Kiss Lovers, Three Ages of Women (mother and child), Woman Expectation from Stocklet Frieze, and Fulfillment Lovers. 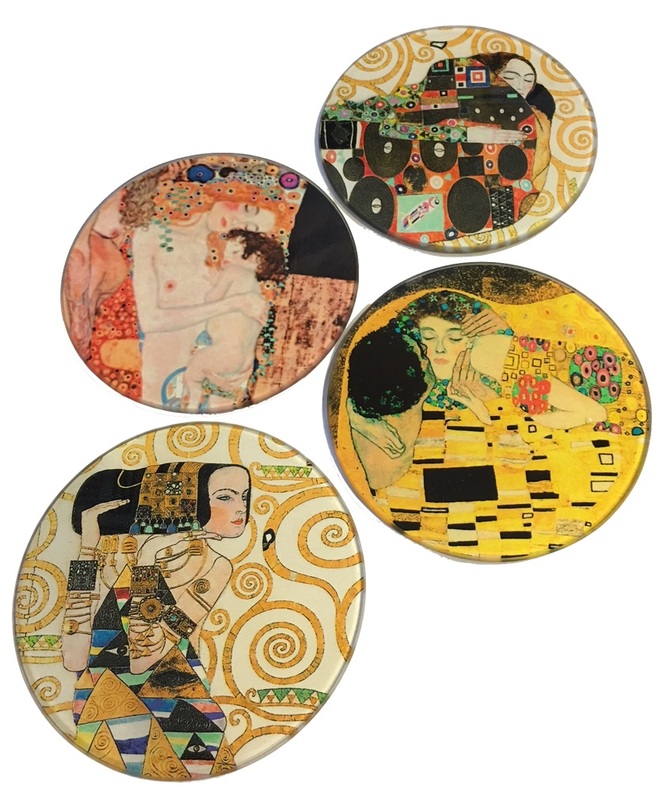 The colors are vibrant yellows, oranges and browns and will add a pop of color to your table setting.